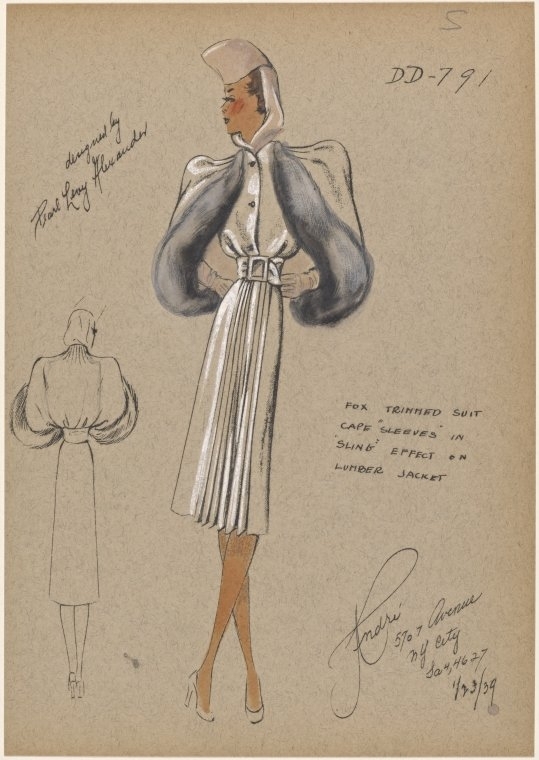 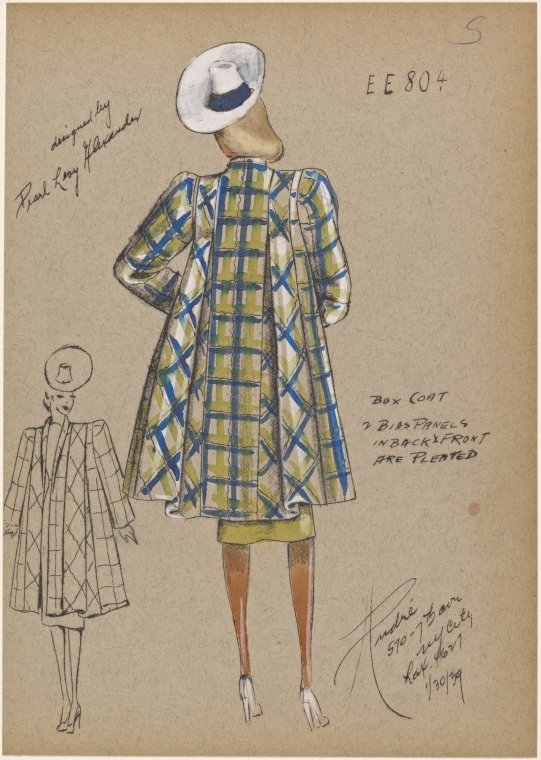 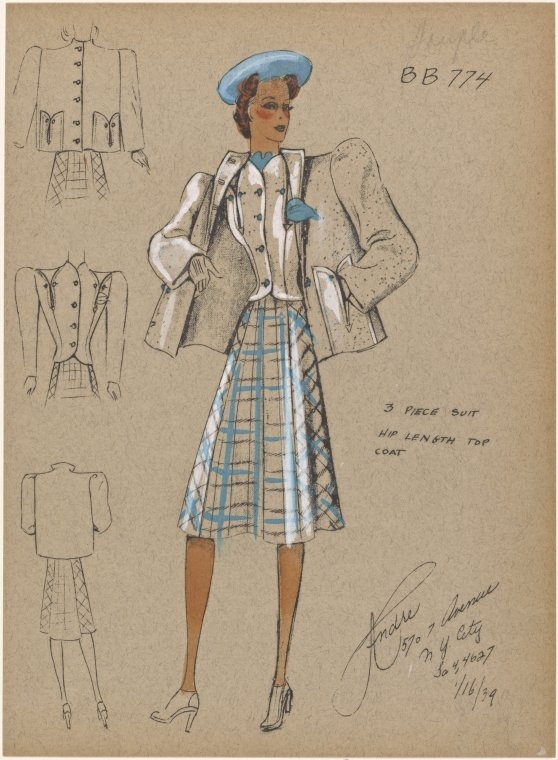 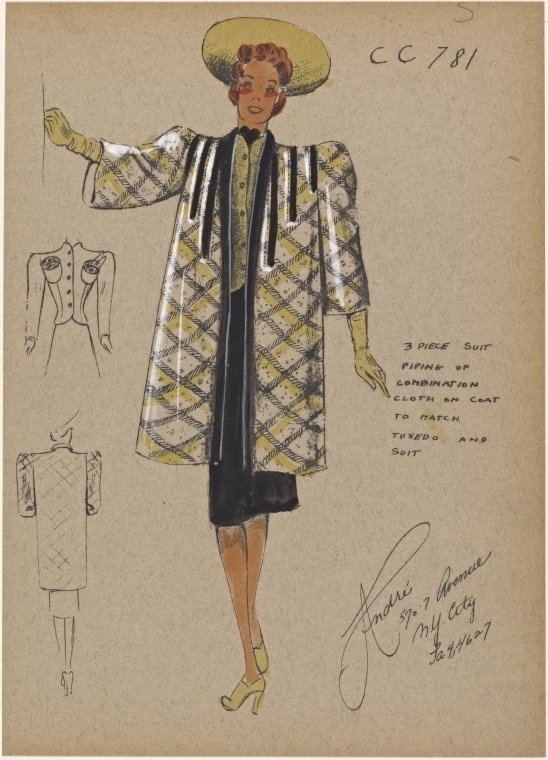 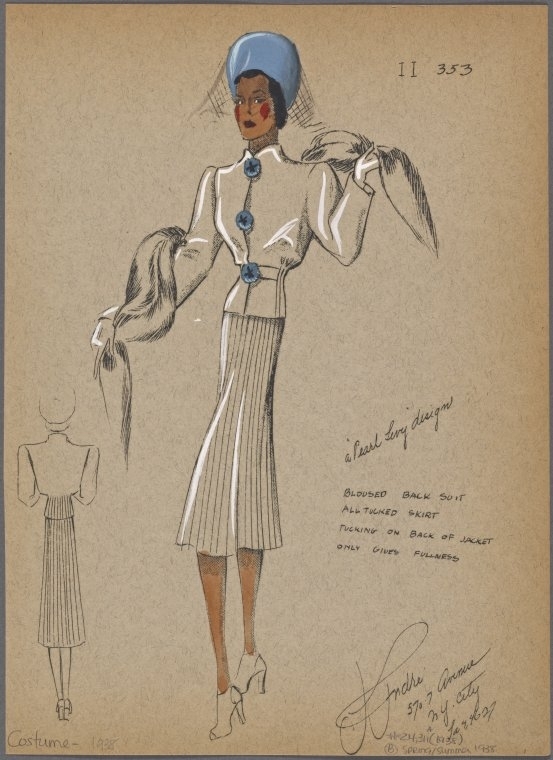 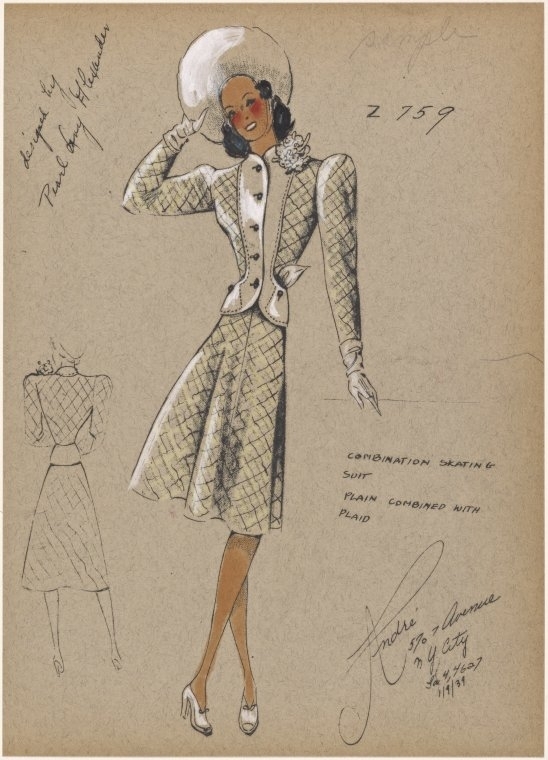 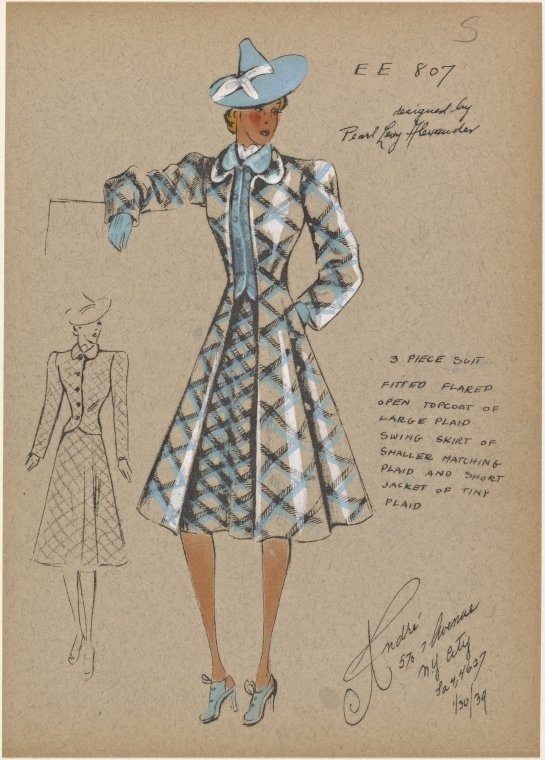 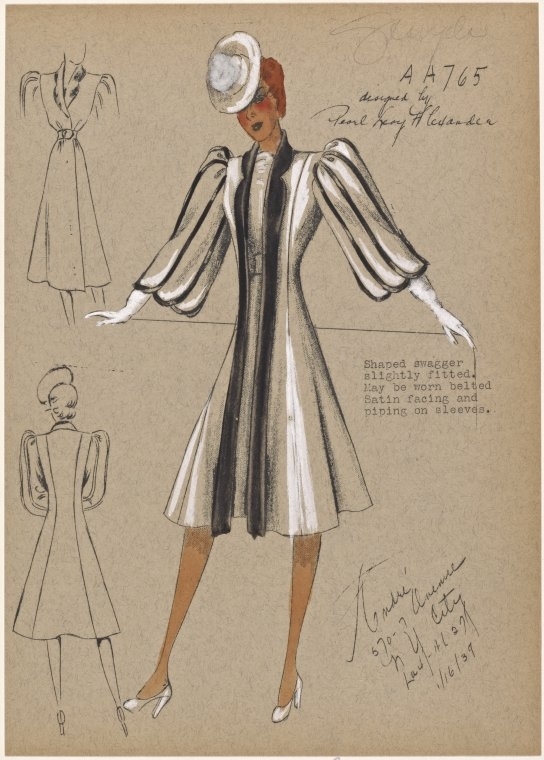 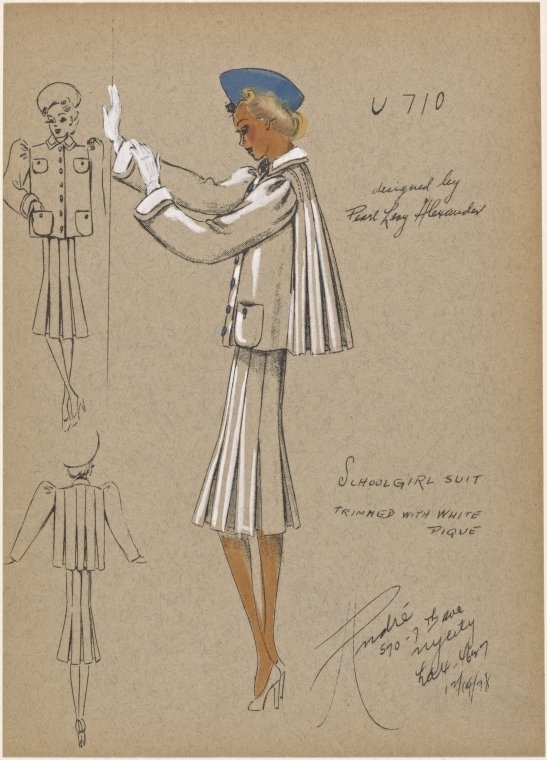 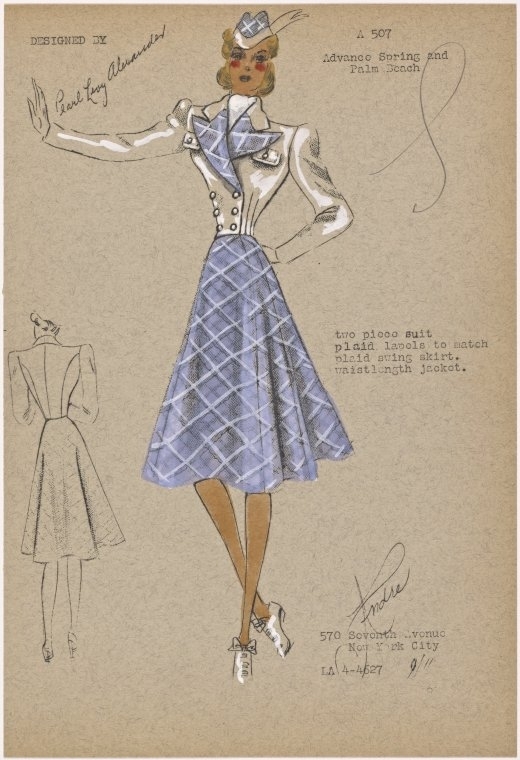 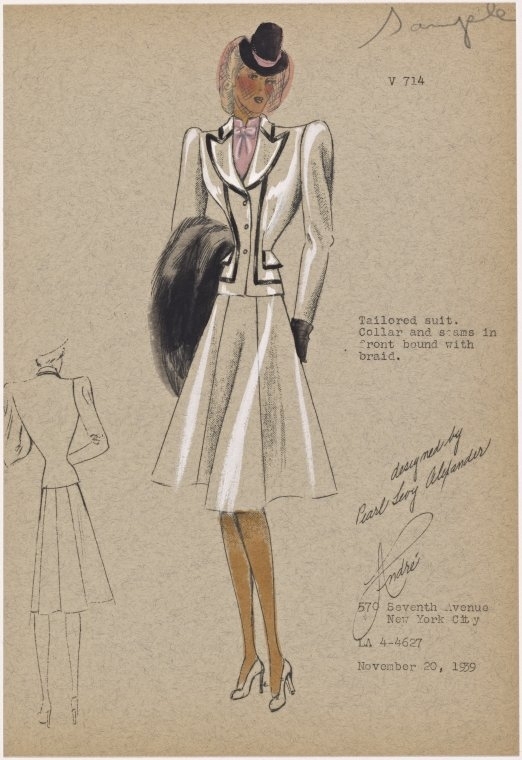 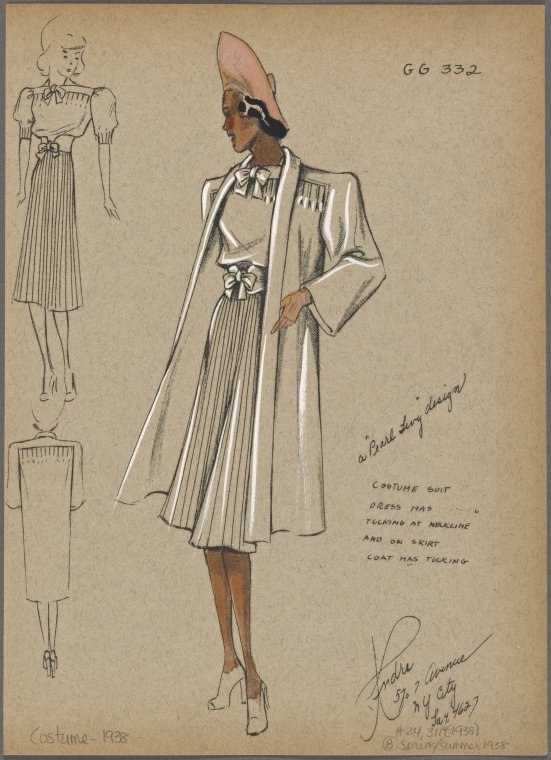 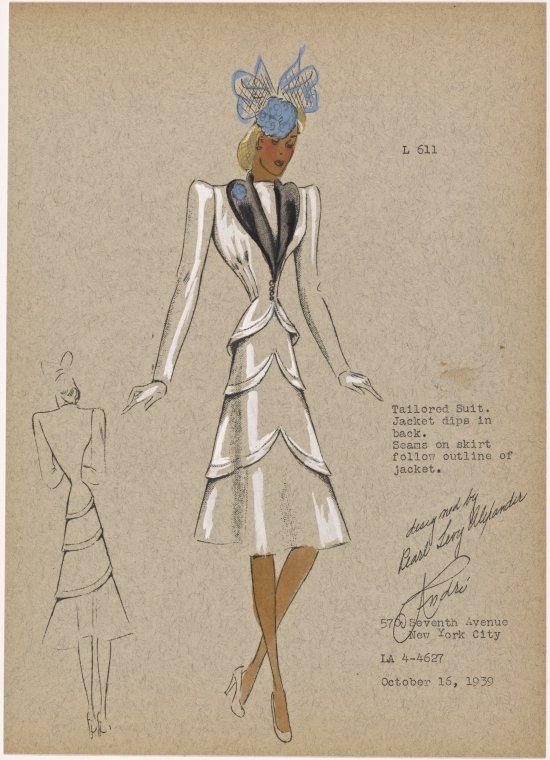 Donor Walter Teitelbaum donated to the The New York Public Library his collection of André Studios Fashion Illustrations by designer Pearl Levy Alexander. 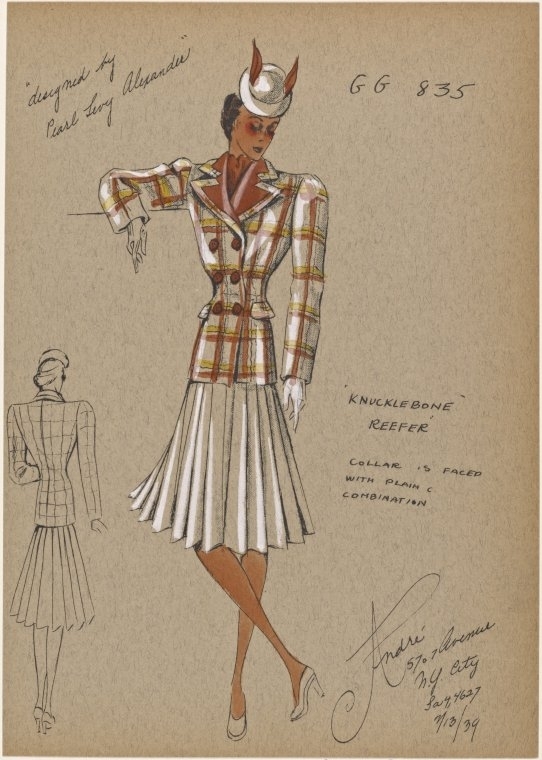 Amongst the decades that are featured, I've chosen to show you a titbit of the 1930s and what was considered to be high fashion at that time. 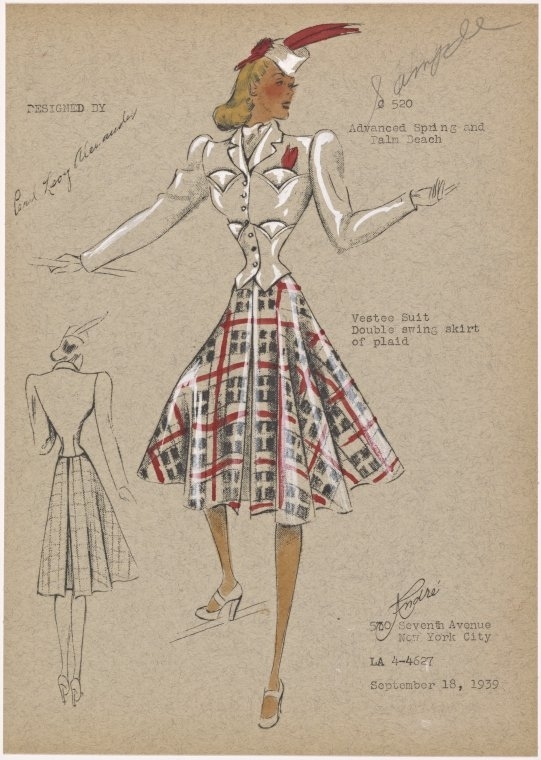 You know how they say that when designers need inspiration they circle to the past? 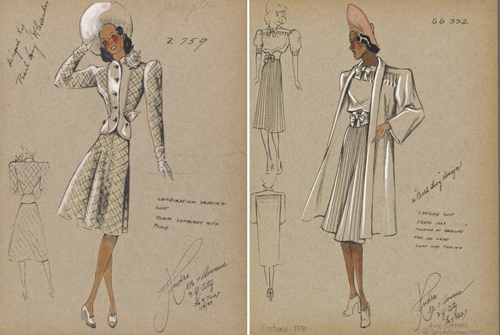 Maybe you might see variations on these designs in the future.